Our headquarters are on Danks St, Waterloo NSW. Most cooking classes are held near our headquarters, but classes and events may be held anywhere. If you need to know the location of specific event, please call or email. 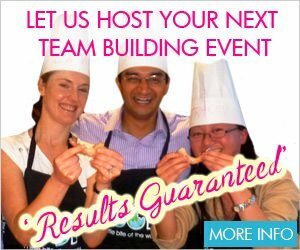 For further information on any of our cooking classes, fill out our enquiry form. We respond to all web enquiries within 1 business day.